3 Bathroom Trends You Might Want to Consider! Looking forward to upgrading your living style? Well, you sure should if you have enough dollars in your account. You see, change is always a necessary thing, especially when it comes to your home, you don’t want to be someone who has an old-fashioned house and there is nothing new in it and if you are finally thinking to get it revamped or renovated then we do support you in it. Before everything, we suggest you start the change with your bathroom because yes, a stylish and luxurious bathroom counts a lot when it comes to impressing your relatives and friends. 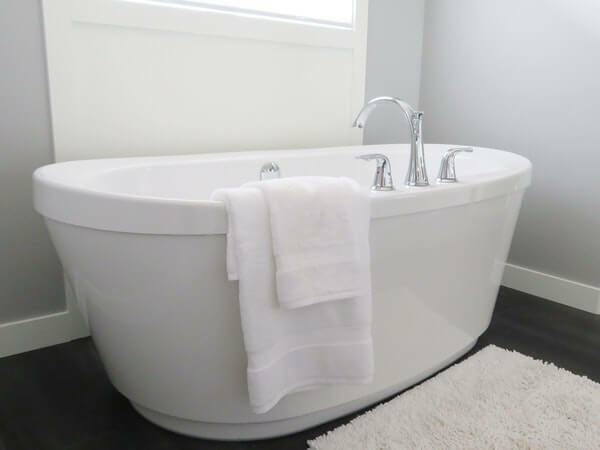 Here in this article, we are going to list down the top 3 bathroom trends that you might want to consider. The grey color bathroom design has been growing as the most popular trend in the recent years. If you are someone who wants their bathroom to be very sophisticated yet modern then trust me, this design is what you need to consider this year. Furthermore, grey always brings a decent and classy look out of everything and when it comes to the bathrooms, well no other color can compete for the classiness of this one. You would definitely want to commit fully on the monochrome vibe with black and white accents when it comes to buying the furniture for your bathroom. Also, the addition of acrylic bathroom and doors will double the overall look and get the best acrylic designs. The trend of high tech toilets is the next level of luxury and you will undeniably fall in love with it. There are different features of these high tech toilets which include automatic flush, heated seats, integrated bidets, motion activated seats and also comfort height toilets. You see, technology is growing at a rapid pace and it has taken almost all over the world so why not use it in the most beneficial way? Well, if you really want to experience the joy of technology then go get yourself some high tech toilets and thank us later. Also, it is the hottest bathroom trend at the moment. Yes, the most popular thing that people are doing now is that they are creating inventive and different storage spaces in their bathroom. The reason behind it is the fact that our bathroom accessories are now growing and growing and we surely need some great space to store the necessary stuff. This trend is also something a luxurious bathroom would have and it gives your bathroom a whole new look too. So, consider the inventive storage solutions too because firstly, it is trending and secondly, it is quite beneficial. So, above we’ve mentioned all the hot bathroom trends of 2017 and this is not only it, we’ve got a lot more to talk about the existing and upcoming trends. So, stay connected and keep reading because we assure you to come up with something new and more exciting. Till then keep sharing and keep loving our posts. Prev5 Best Paragliding Places in India!